When I start to feel swept away by the pace of the world (and the Internet), Ed Cyzewski is a voice I seek out. Ed is a friend and the author of several books as well as the creator of a thoughtful site for writers, The Contemplative Writer. His perspective is always grounding for me: un-rushed and sensible. Grateful to have the honor of hosting him here today. At one of the lowest points of my faith, I attended a prayer service led by a pastor I knew from seminary—that’s right, my faith all but vanished in seminary. During the service he focused on simple contemplative prayer practices such as centering prayer and reciting the Jesus prayer, meditating on short portions of scripture, and singing simple chants. It was completely outside of my experiences and way outside of my comfort zone. Even worse, having tried out these prayer practices for an hour, I didn’t feel any closer to God. I returned home believing that I’d just wasted my time. Why did God seem so far away during that season of my life even though I kept reaching out? I wanted a spiritual epiphany, and I wanted it yesterday. Based on my faith background, that seemed like a reasonable request at the time. Didn’t God want to “show up”? I spent the early days of my faith in a tiny independent Baptist church just outside the pine barrens of New Jersey. We had tan padded seats, booming hymn songs, and lengthy KJV-friendly sermons that always resolved with an altar call. Your entire life could literally turn around in a moment. Do you need a miracle? Do you want to get saved? Step right down to receive prayer! The altar call is one of those tried and true ways that Christians have prompted people to convert. While I can’t argue against needing a nudge sometimes to make a decision—faith requires decisions and choices between one way of life and another—the altar call approach to faith can cause problems when we expect solutions to come immediately when we ask for them. There’s a whole other language of faith in the Psalms: waiting. How can your soul survive a season of waiting on God when you’ve been trained to expect miracles when you step forward and ask for them? If altar calls run the risk of overpromising what God can do in a single moment, the Psalms encourage us to wait patiently, to trust that God hears us, and to persevere even when miracles and epiphanies don’t happen right away. Don’t so many stories in the Hebrew scriptures revolve around people waiting on God? The simplicity of contemplative prayer helps me let go of my expectations, brush aside distractions, and open myself to rest in God’s presence without an agenda. There may even come times when God speaks. However, the point of it all is to rest in God, period. If my altar-call-faith prompted me to forever question the sincerity of my initial faith profession or to ask whether I routinely needed to “rededicate” my life to God, contemplative prayer has challenged me to live by faith every day and to simply wait. Each day I’m challenged to trust that God is present and that waiting on God will bring transformation—eventually. And if God does bring transformation, it may not look the way I expect. This loving search for God isn’t about formulas or worthiness, and that’s the hardest thing to get through my head. The altar call hinges on recognizing something about myself and saying the right words. An altar call can be a helpful tool for an initial conversation, but not for a lifelong conversion. Contemplative prayer depends on recognizing the present love of God and saying no words. There is no black and white conversion moment with contemplative prayer. It’s a slow, simple process that defies measurement or tracking. 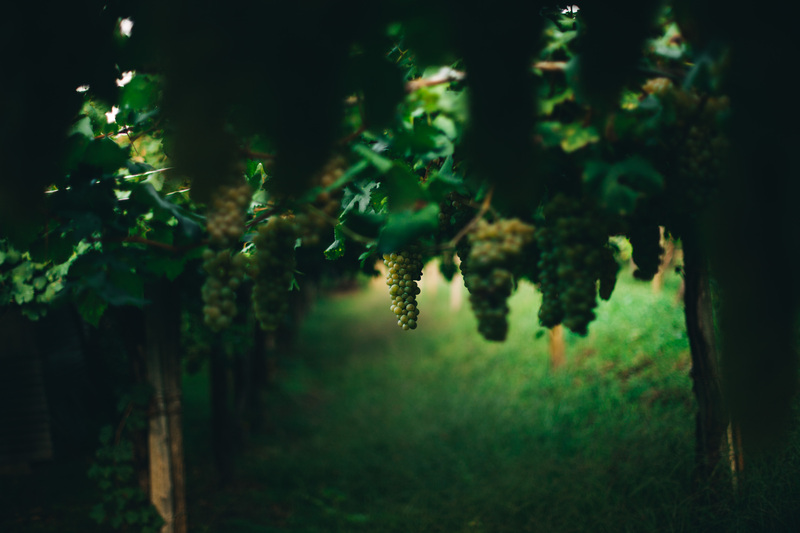 It’s the lifelong work of abiding and resting in Christ, the vine. Over the past four years we grew grapes in our yard, and it was impossible to see the grapes physically grow. Each summer day the grapes appeared just a little bigger than before. I don’t think about my conversion experience or altar calls these days. They aren’t necessarily bad things. Rather, the point of a grape vine is to produce grapes, not to look back at the moment that it was planted as its validation. Rather than thinking of conversion as a moment, I’m starting to see it as a lifelong process that is slow and challenging at times. The steps backward that used to feel like catastrophic failures, completely undermining my profession of faith, have become detours—serious detours at times but detours nonetheless. I can finally understand why Eugene Peterson called his meditations on the Psalms “a long obedience in the same direction.” We are converted throughout our lives as we learn what it is to abide and to receive the life and transformation that God slowly brings. It’s not that we have a ticket that we can either protect or lose. It’s that God’s passionate love is pursuing each of us right now, and we can choose to either abide in it or go about our own business. I need to be present for this love. I need to rest in this love. I need the daily, lifelong conversion that this love brings. I’m not yet as I should be, but this love pursued me long before I even acknowledged my faults. There may be epiphanies and revivals where the Spirt of God descends in a fiery flash, but it’s perhaps more likely that most days the Spirit of God is the faintest whisper that we could completely miss if we don’t stop to rest and listen. Ed Cyzewski is the author of The Contemplative Writer, Pray, Write, Grow, and A Christian Survival Guide. He writes at www.edcyzewski.com and runs The Contemplative Writer. Oh, how I so needed to hear this today. In a season of waiting, and finding myself and my faith often wavering. Our “I want it NOW” culture has poisoned my trust of God because He has not “fixed it all” yet. He keeps whispering “be still and know that I AM God”, sometimes several times a day, but my aching heart and rebellious spirit screams back “but I must DO something!! !” He gently beckons me into His lap and says “just breathe and rest your weary head and heart here.” Like a typical toddler, I sit a moment, and then start to squirm and wiggle and struggle to get down again, restless and eager to “do it my way”. He does not scold or deny me my freedom, but sadly releases me and patiently waits for me to exhaust myself in my vain attempts to control and manage the outcomes I desire. Again and again I return to His feet, weary, discouraged, and disheveled from these self-efforts. He does not rebuke, only invites me back into His patient, loving arms to rest and listen to His heartbeat. Slowly I am releasing my need to control, but it is a process. Thank you for being the voice today, echoing His, reminding me to just be still. Oh gosh, we have a toddler, and that is a very accurate way to describe the spiritual struggle! Thank you for sharing this and your whole heart every time you write, beautiful Emily! Thanks, Lori – Appreciate your words. I was so pleased to have Ed share his writing in this space while I’ve been away. This is so powerful! I have had changes in thoughts about my Christianity. Growing up I attended Methodist & Presbyterian churches. Now I go to a “Christian” church. The big difference for me is taking communion each and every Sunday. Also I feel like I was a “fence line” type Christian. Don’t think I truly understood what it truly means to have a close relationship with Jesus. After twelve years of hearing the truth about God read straight from the Bible I finally “get it. I understand fervent praying, communion, and baptism. Interesting observations on altar calls. I agree fully and yet we’re in a church where this is really missed with my husband’s preaching. Every once in a while he’ll give a call to respond but not often because of the very thins you mention here. 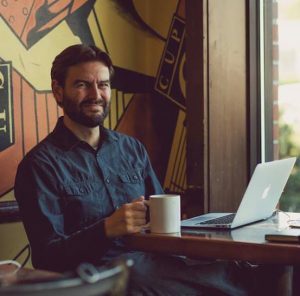 He takes this seriously and in a world where many pastors manipulate and sometimes, with a sincere heart, end up confusing people we want to walk beside people in the dailyness of life and hopefully those “alter call” conversations are showing up over coffee at Starbucks – not just from the pastor but other Christ followers. Oh – ummm am I missing the end of the month post? I’m not seeing it here. Do you still do it? I was so proud that I posted on July 2nd instead of July 10th like I normally do. Ha! I will do an end of summer post – I’ve been traveling out of the country so took a break from end of the month post for June. You can link it up at the end of July! yay that’s a great! Happy travels! Oh, I’ve asked myself that question so many times, wondering why God isn’t showing up and chiseling away at my doubts, since I can’t “make things happen,” at least not the way God can. I needed this reminder. Thank you.